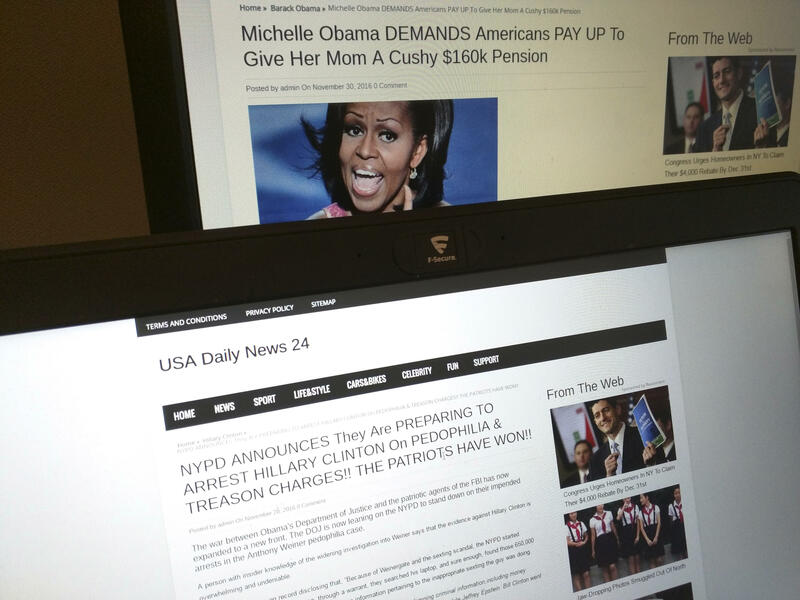 The 2016 election saw the rise of fake news sites -- and two-thirds of Americans say the phenomenon has created confusion about facts and current events, according to a new study. Sixty-four percent of those surveyed by the Pew Research Center say fabricated news stories cause “a great deal of confusion,” compared with 24 percent who say they create “some confusion.” Just 11 percent of those surveyed say there is not very much confusion caused by fake news. Almost a quarter of Americans say they’ve shared a fake news story: 14 percent said they shared something they knew was fake at the time, and 16 percent said they shared something they later realized was fake. And it’s a common occurrence for many Americans: about one-third of adults, 32 percent, said they often see fake political news on the internet, while 39 percent said they sometimes do, and 26 percent said they hardly ever or never do. In addition, about half of Americans (51 percent) say they see political news that is not fully accurate, even if it’s not outright fake. Still, most Americans are confident that they’re able to determine the difference between fake news and real news. Thirty-nine percent said they’re “very confident” they can recognize fake news, while 45 percent said they’re “somewhat confident” -- and 15 percent said they are not very confident they can tell the difference. As for who’s responsible for curbing the phenomenon, Americans say politicians, the public and social media companies all must play a role. Asked who should deal with preventing fake news, 45 percent said the government should, while 43 percent said the public should and 42 percent said social media sites and search engines should. The poll surveyed 1,002 U.S. adults from Dec. 1-4, and has a margin of error of +/- 3.6 percentage points.